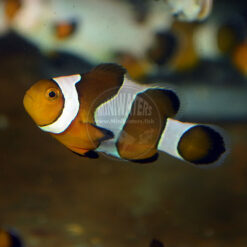 Unlike the normal Pink Skunk Clownfish, some (but not all) of the Amphiprion perideraion collected in Fiji, today called “Fiji Sunkist Pink Skunk” Clownfish, are a beautiful orange hue. In the past, some of these wild “Orange” Pink Skunk Clownfish were imported and sold under the name “Sunkist”, and at this point, at least two hatcheries have established these orange variant Pink Skunks in captive populations. 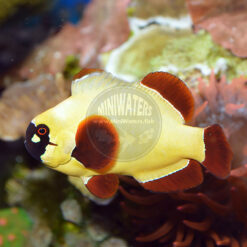 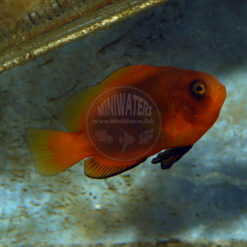 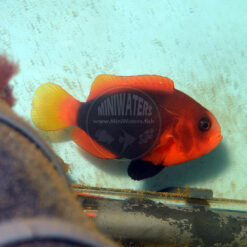 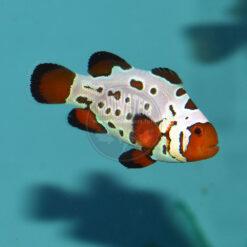 At times these fish have appeared “overly photoshopped” carrying premium price tags; breeders went nuts for them. 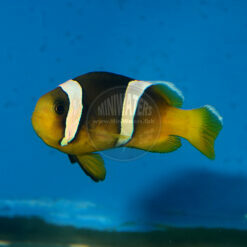 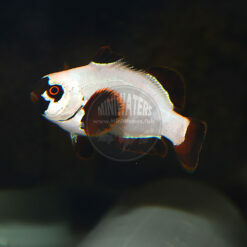 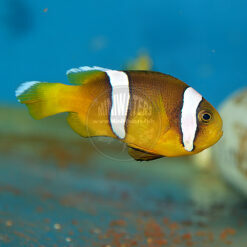 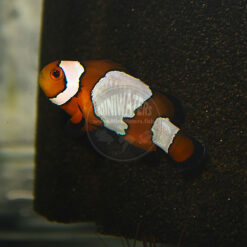 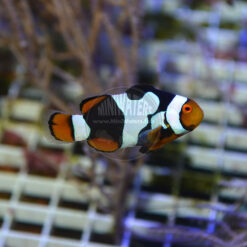 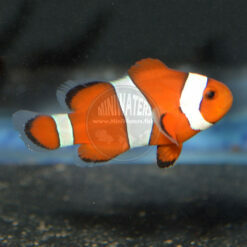 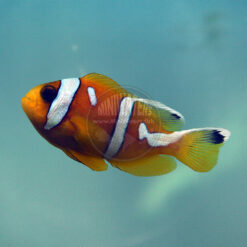 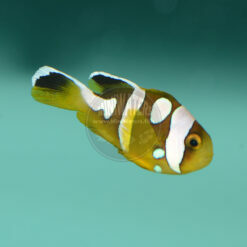 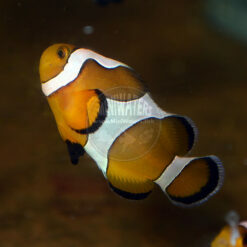 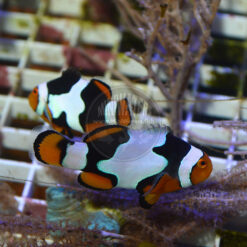 But this was before designer clownfishes overshadowed everything else. Although a wild pair of Sunkist Pink Skunk Clowns out of Fiji will still sell for a pretty penny, the captive bred versions are very affordable! 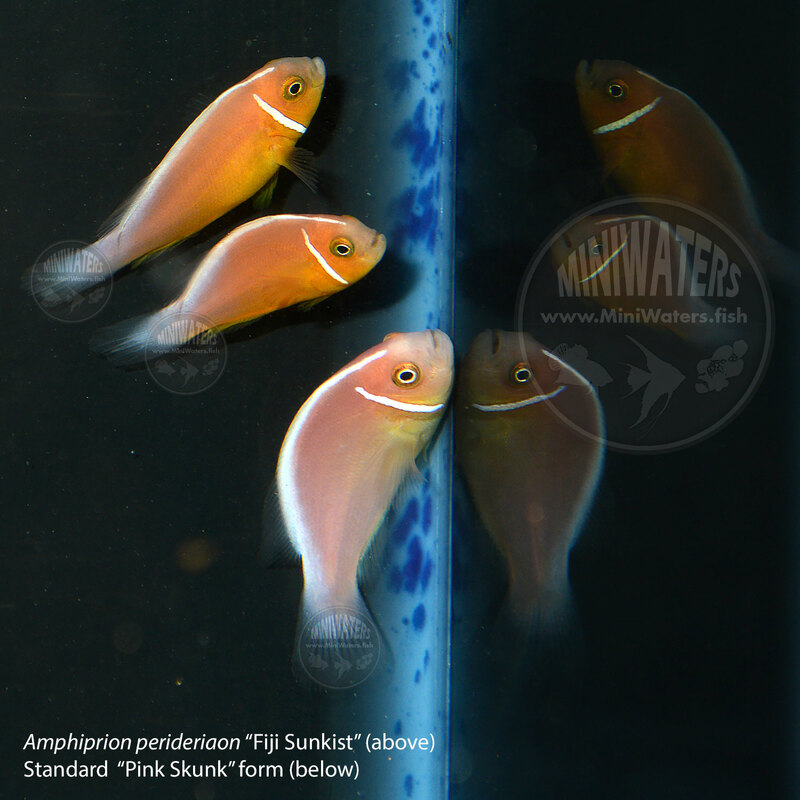 See a comparison of classic “Pink Skunks” and the “Sunkist” variant from Fiji in the expanded details below. 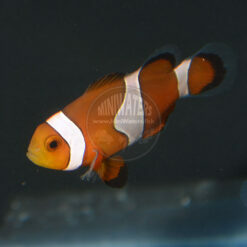 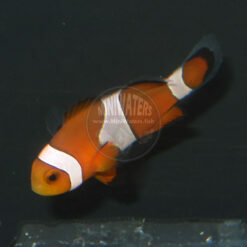 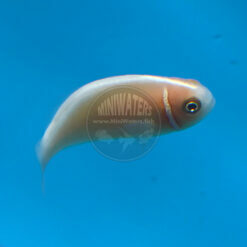 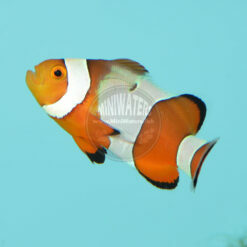 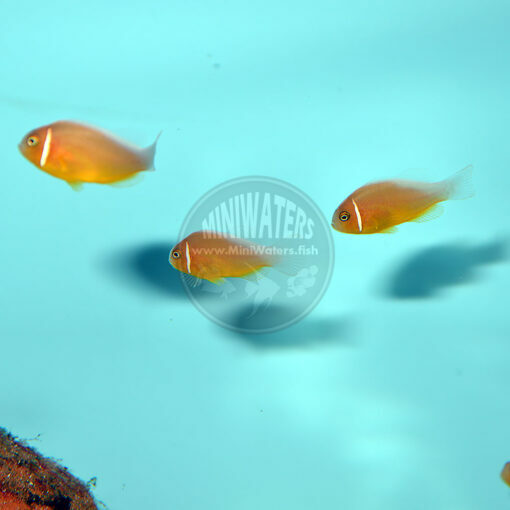 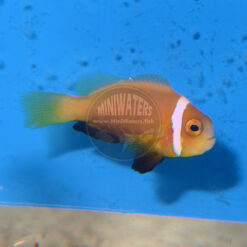 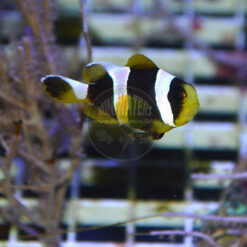 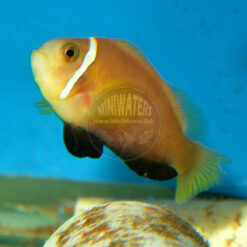 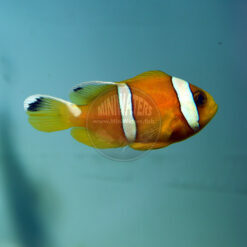 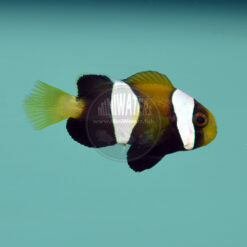 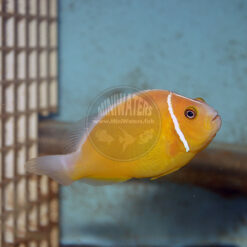 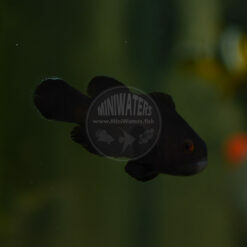 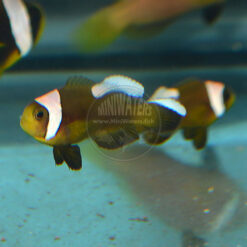 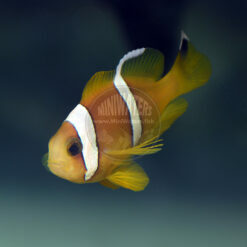 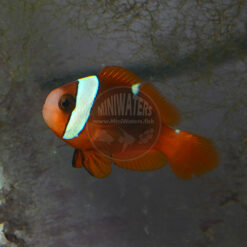 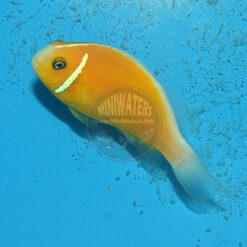 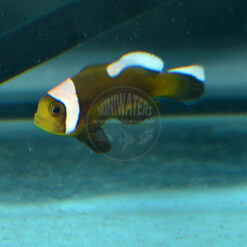 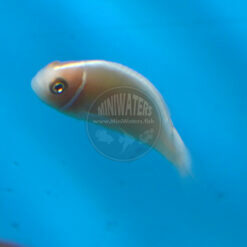 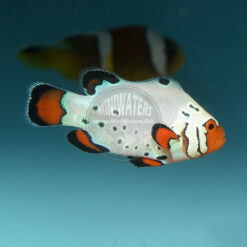 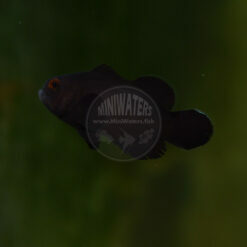 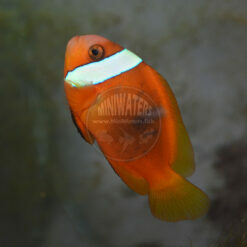 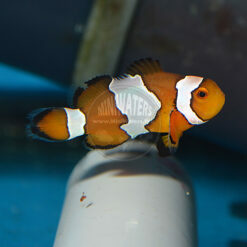 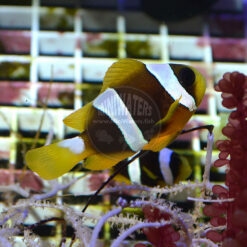 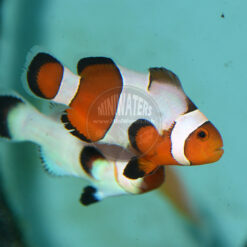 The product images here show both adult wild Sunkists, as well as the F1 Sunkist Pink Skunk Clownfish produced by Sustainable Aquatics, at about 1″ in size (our “Tiny”). 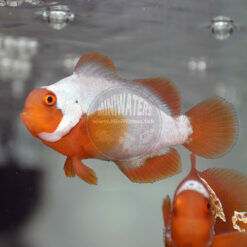 This is a classic example of why “provenance”, that is knowing where your fish come from, actually matters. Right now, we have at least one unusual, and beautiful, geographically-related form of a well-known species available to us. 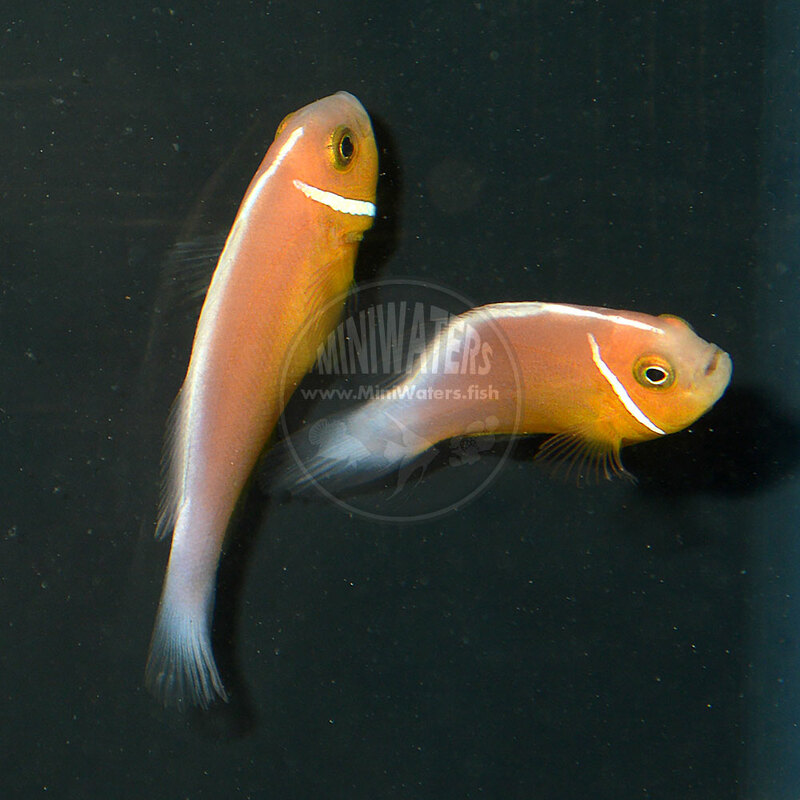 If future breeders decided to simply breed “whatever” types of “Pink Skunks” together, ultimately really unique geographic variants, like this, could be lost. 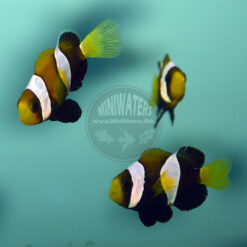 Check out this comparison of a hatchery raised “Pink Skunk Clownfish”, right alongside two captive-bred first generation from wild (F1) “Fiji Sunkist” Pink Skunk Clowns. 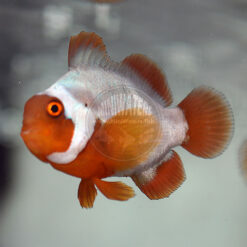 Doubters, you can’t get much more obvious than that! Fiji Sunkist Pink Skunk Clownfishes (above) and a typical Pink Skunk (below). 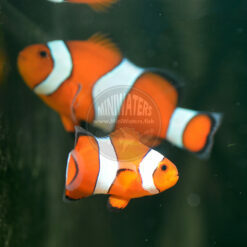 Not diet; both fishes here were raised by Sustainable Aquatics.